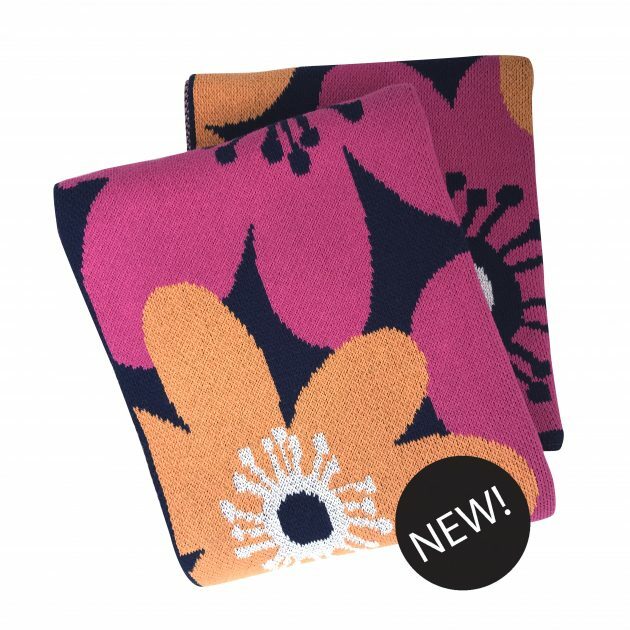 If you’re on my mailing list you’ve seen the news: The Fall Eco-throws are here! My goal this season was to add a few new color ways of existing designs to round out the offering of color palettes. 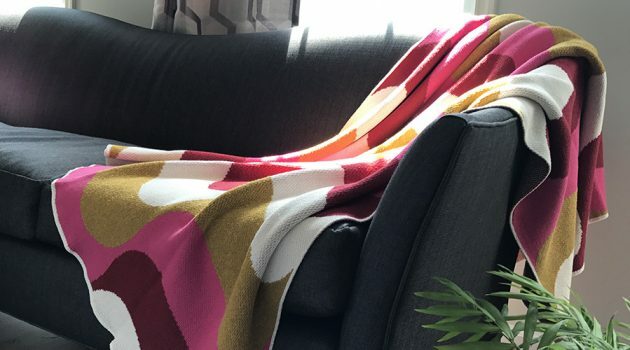 If you’re not familiar with my knitted throws, you’re in for a treat! I started designing them last year and have them made by a little family run mill in the US that knits them in small batches to my specifications. They’re nice and big for snuggling (50″ x 60″) and are made with a special recycled cotton/poly blend yarn. 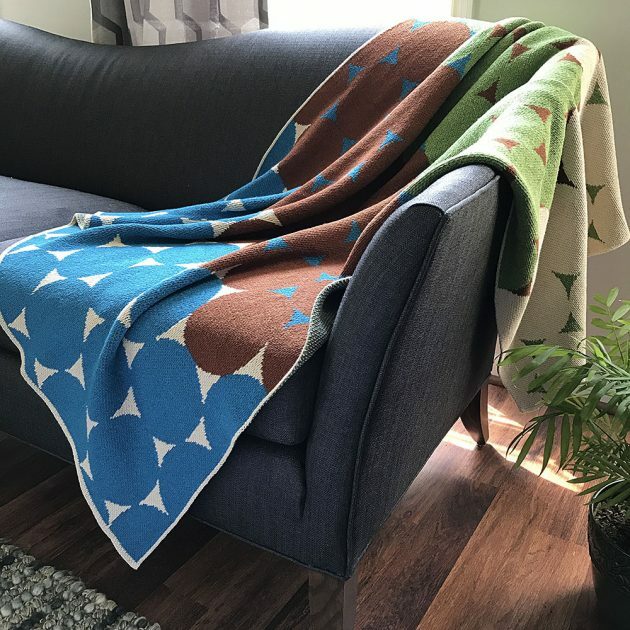 I think my favorite thing about my throws is the way they transform a room! The modern designs and vibrant colors really elevate your space. 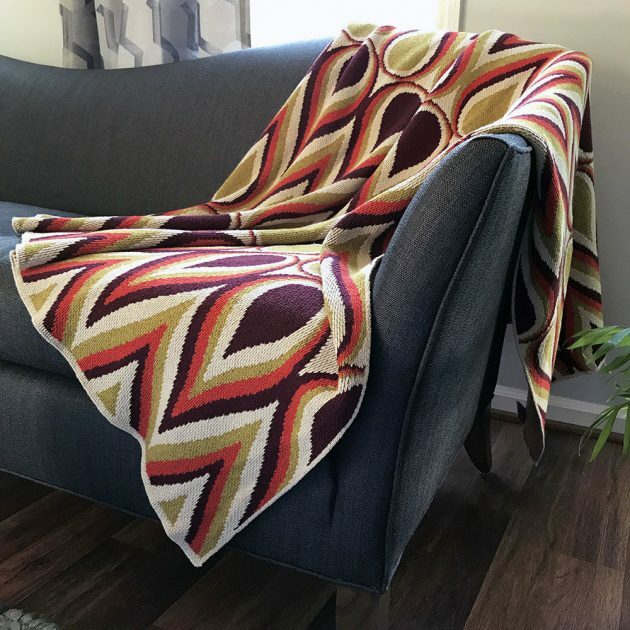 I don’t have a lot of time or inclination to “decorate” but adding a bold throw to my couch or chair gives the whole room a lift! I’m also pretty excited about the Eco-tot blankets for kids. In my early career I designed baby and kids clothing for Carter’s Childrenswear and Lands’ End Kids. It’s just in my blood! I love coming up with sweet and silly designs for the little guys. 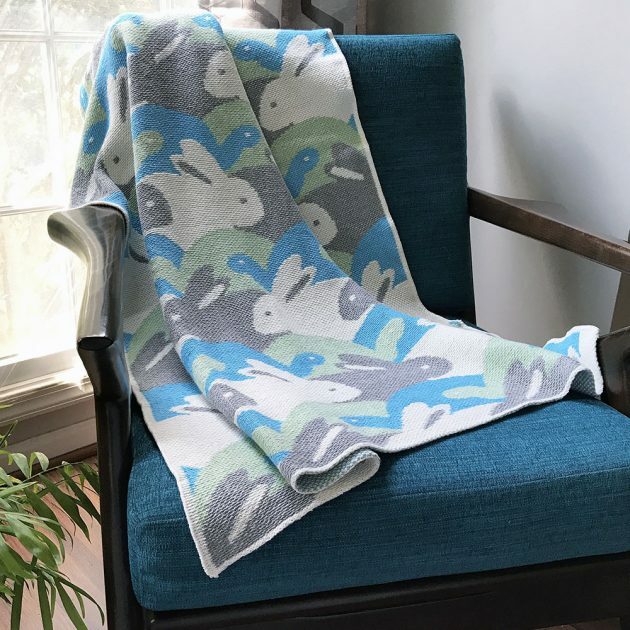 This Tortoise and Hare throw is new for fall! Awesome for gifts, by the way, you’ll win the baby shower! I hope you’re as excited about these as I am! To celebrate the new styles I’m offering FREE US SHIPPING when you use the code: HAPPYFALL17 at check out. Visit the shop to see the full collection! Wow, the earth colors throw with the water drop pattern is my fave. The pattern looks like a nod to the 70s. Wonderful! Thank you so much! It does have a retro feel!